LOS ANGELES (AP) — America Ferrera is a mom. 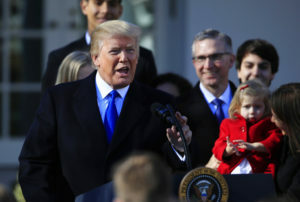 WASHINGTON (AP) — The Trump administration will resurrect a Reagan-era rule that would ban federally-funded family planning clinics from discussing abortion with women, or sharing space with abortion providers. The Department of Health and Human Services will be announcing its proposal Friday, a senior White House official said Thursday, speaking on condition of anonymity because the official was not authorized to confirm the plans before the announcement. The Reagan-era rule never went into effect as written, although the Supreme Court ruled that it was an appropriate use of executive power. The policy was rescinded under President Bill Clinton, and a new rule went into effect which required “nondirective” counseling to include a range of options for women. Planned Parenthood clinics also qualify for Title X grants but they must keep the family-planning money separate from funds used to pay for abortions. 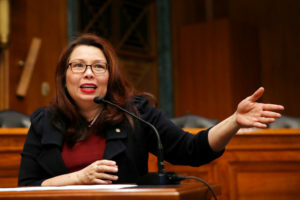 The Republican-led Congress has unsuccessfully tried to deny federal funds to Planned Parenthood, and the Trump administration has vowed to religious and social conservatives that it would keep up the effort. On the girl’s list, for the second year in a row the top name was Emma. On the boy’s list, a new name took over the top spot as Liam was number one. The Social Security Administration compiled the list based on birth records from 2017. I will tell you that not much has changed from the previous year. Yeah, we are still seeing names that topped the list in 2016 topping 2017’s list too.